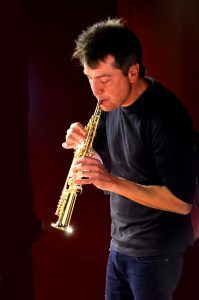 With more than three decades of free improvisation behind him, Miquel Jordà is one of the pillars of the Barcelona scene, actively pushing new projects and contexts for the music. Happiest when he’s ‘mixing ingredients’ – such as music, dance and visual arts – Miquel is the driver behind the inaugural BCN Impro Fest this year, which represented the full range of Barcelona-based improvisers in a variety of combinations. The festival is set to return for a second year in February 2017. My parents bought me a guitar when I was 6 years old. I remember asking them to enroll me in music classes. I also remember being very excited and inpatient to start the classes, but also disappointed as soon as I started them since we were too many students for a single teacher. I already had some of the basic notions, how to tune the guitar for example, while my classmates had to learn it. This situation frustrated me because the group made me go slower than I was capable of. I’ve felt this frustration other times over the years with some of the teachers I’ve had. Anyway, Spanish guitar wasn’t really a choice, rather the only option available at the time. In that sense, I envy my nephews, who are small children now, because they can choose the instrument they want to learn. Later, when I became an adolescent, I chose the saxophone. Nevertheless, I was a very curious child and was interested in art, music, cinema, comics, photography… And one other thing is that at that time my brothers weren’t born yet and I didn’t want to go back home after school because I had no one to play with and was bored. Still, as I remember, playing music and drawing were the main hobbies I had. The first music I listened to was my father’s classical music collection: Schubert, Schumann, and Stravinsky… I inherited the collection. There were also records of classical soundtracks of movies from the 60s and 70s; my favorite, without doubt was “West side story” by Leonard Bernstein. I remember the beautiful red and black picture on the cover of the LP. That music made me dance and I got goose bumps when it got to the instrumental parts, although not so much with the lyrics. The trombones, the orchestration and the jazz arrangements made me want to play the instruments I heard; so a few years later I chose the saxophone. I also liked the guitar, but felt frustrated when I tried to play something that sounded similar. Nowadays, I don’t buy music any longer. I use websites like Spotify, YouTube or internet radio. I think it’s a luxury to be able to listen to what you want for free. Still, due to my profession, I frequently play what I think I should be listening to, not just what I like. And lately I’ve been searching for musicians who play with extended techniques. Saxophone or others such as chromatic harmonica. Last week for example, I found some quarter-tone chromatic harmonica videos with Roni Eytan, and I also checked out some videos of Antonio Serrano. Musical works from India or China with chromatic harmonica are also very interesting. I would say that it depends on the musicians I play or record with, but I like to rehearse. For example, nowadays I’m working on a new project, a musical ensemble called “Impro & Draw”. We rehearse every week and I must say it’s a very intense and gratifying experience because we learn to get to know each other and there are never two sessions alike. Nevertheless, other times I can play or record with a musician who just got into town and it’s also equally gratifying. Who knows, sometimes both experiences work out. I’m very influenced by painting, graphical art, and photography. In fact, I like to draw and I do it regularly. As a teenager, music by Leonard Bernstein or jazz always came accompanied by images of impressionist or expressionist painters. On the other hand, artists like Paul Klee, Kandinsky or Egon Schiele also influenced me when I was attracted to classical contemporary music, like Steve Reich, or jazz players. I’m optimistic. I’m over 50 now and compared to how it was 20 years ago I think the situation is much better. At that time, the only thing known was free jazz, even the term free improvisation wasn’t used too frequently. Nowadays the audience is limited but they’re faithful; they know where the music is being played and also the different artists. The difficult part is to attract new audiences, because this type of music is difficult to listen to until you get used to it and listen very carefully, paying attention to the small details. This is the Achilles’s heel of free improvisation: how to attract and educate new followers. I think music should be free of charge and, once more, my opinion is based on being over 50 and having experienced times when artists were forced to be members and register their work at music management societies. Time has shown that these management societies have been behind the times and have been more concerned with themselves than the artists they represent. The important thing for a musician, an artist, is to get his/her work known by the public. Today, the best way to achieve this goal is without a management company, because they only put up obstacles and still function the way they did in the last century. For 30 years I have dedicated myself to professional music and I am preparing a series of concerts and publications that represent this period. I have new projects in mind and others already finished, such as “Ojos Negros”, which corresponds to my creative musical concerns and this work specifically includes recitation of texts based on the loneliness and depopulation of the region of Teruel, accompanied by a video projection and music that transmits the hardness and beauty of the landscapes of the area. Personally I am interested in the mixture of artistic genres and I apply it in most works. As of today, if I had no budget constraints, I would like to work with more complex scenographic projects, which are also more expensive. I take this opportunity to add that nowadays, they are opening many new places but the artists have never been paid so little. It is frustrating to invest so many hours of rehearsals for so little money and for small audiences on many occasions. 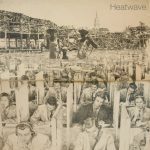 “Heatwave”, a performance including Miquel with Christer Bothén, El Pricto, Pedro González & Vasco Trilla is available on Discordian Records.